The word has been that Microsoft and Nokia have a partnership deal that could have Microsoft paying the Finnish company as much as $1 billion per year to build devices for the Windows Phone platform. But, a new report from The Wall Street Journal is saying that it had actually gone beyond that and the two companies were actually in "advanced" merger negotiations until just recently. According to a source, the talks had been ongoing as recently as this month, but that they are officially dead now, and unlikely to continue. A Microsoft spokesman said that there is nothing out of the ordinary with the two companies meeting regularly, and neither confirmed nor denied the allegations. A WSJ source said that the two companies had been meeting in London, and were "close to an oral agreement" to merge the companies together. There was no word as to why the supposed negotiations failed, nor why they would be unlikely to continue. 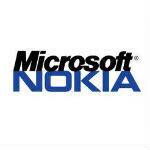 Of course, had the merger happened, it wouldn't have been much of a surprise, but it certainly would have made some waves in the mobile world by officially combining Microsoft's software development with Nokia's expertise in hardware. OMG my dream of a Nokia device running Android SURVIVES!!! No it doesn't. If that's what you're waiting for.. Don't hold your breath. friend can become enemy it's not wise for Nokia to build their platform services on a OS they don't own. @micheal...how come this news is not in featuring list ?? Actually it's not dead. It's in the hands of the share holders. if they feel that Nokia is still not meeting their expectations they can force by a vote to oust Elop and replace him with a new CEO that is either open to not putting everything in one basket or that might cancel the agreement with MS and start a on a new path. That is the call of the shareholders in the next meeting. Whoever thinks that NOKIA is building an Android powered should dig a hole ,sit in it and wait till the dooms day. Dooms day?? Nokia already is in dooms day. We're waiting for a new beginning. Who says Nokia is doom? are you an apple fan boy? or you taking any pay checks from Samsung? Nokia will stay.. He must be a Samsung fanboy. Just saying. Before Galaxy series actually Samsung was in dooms day. never say never in this industry. Remember Google and Apple were best of friends ( Google even had a seat on the Apple board) before Android was release. By the time that happens, we might be using Tizen phones. Bada was for low end devices..and its not difficult for them to develop os. They might have learnt much from bada and they have all the resources to hire finest team of developers and engineers to make a gr8 os..
Will never happen, Android does'nt need Nokia, Windows Phone does'nt need Samsung, HTC, Huawei, Acer etc ... Greetzz. Android may not need Nokia, but Nokia could use the cash a few Android products would bring in. I don't think so, Android is just not for Nokia, Windows Phone looks much greater on Nokia hardware, they just need a better way of marketing. Greetzz. looks like to me is Ms and Nokia wanna do like google and other OEM do (nexus device). something like Microsoft edition lumia. ok i change my mind it's a fake news. No, they're not... read the earlier article. Clearly states "NOT" planning on buying it. As if they could afford it anyway, which they can't. Because that's working so well for HTC right now. Face it if you aren't Samsung, you aren't making much money selling Android phones in the US and Europe. Nokia is better off letting HTC, Huawei, ZTE, Sony, LG, Lenovo, and Acer all fight Samsung and each other for Android market share. They all have issues differentiating themselves in a crowded market. Meanwhile the biggest thing that differentiates the hardware is the OS running on it. Love it or hate it, it is a very different look, feel, and experience from the Android pack, and that seems to have a growing appeal. Not to mention the OS works better on low end hardware than Android does, putting them in a strong position to capture the emerging markets in Africa and Asia where Nokia has traditionally done well with feature phones.